Home > News > Podcast > One-Year Vs Two-Year MBA: How Do You Decide? 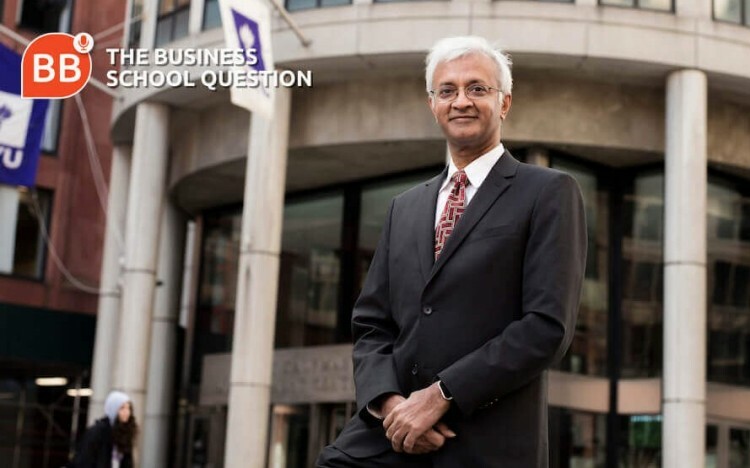 On the latest episode of The Business School Question, we ask Raghu Sundaram—dean of NYU Stern—How do you decide between a one-year or a two-year MBA? On the latest episode of The Business School Question, we’re asking the question: How do you decide between a one-year or a two-year MBA? To answer it, we’re joined by Raghu Sundaram, dean of New York University's Stern School of Business. As Vice Dean at Stern, Raghu launched the school’s one-year Tech MBA, with business leaders from the likes of Amazon, Microsoft and IBM, contributing to the program. The inaugural class for the Tech MBA—alongside a new one-year Fashion & Luxury MBA—enrolled at Stern in May 2018. Stern’s focused one-year MBA options are offered alongside its traditional, two-year, full-time MBA program—the format offered by the majority of business schools in the US.